We urge everyone going to update their profile to help us confirm the numbers attending as well as help us plan and finalize the events . You can access the roll call here. 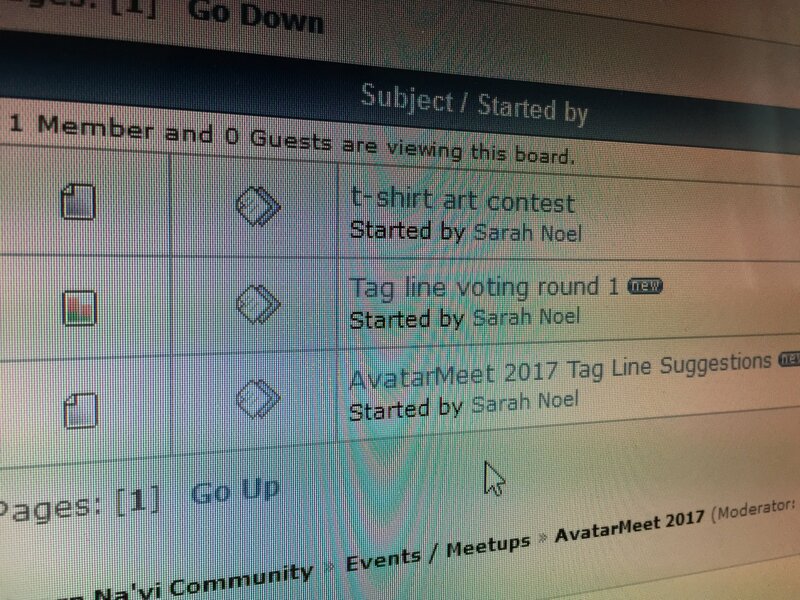 The website for AvatarMeet has been updated to include travel and schedule information. You can access the Attendee Info page here. With less than a week to go before the clan meets on Pandora and numbers now locked, we thought we would fit in one final newsletter. This issue contains some useful updates and reminders. These cover the schedule for visiting Pandora, hotel information, things to remember to bring and much more. There is also a link to download your electronic copy of the Meet-up Survival Guide (Paper copies will be available at the meet up). So with out further a-do, here it is! If you bought your tickets for Disney on-line then remember to bring some form of photo ID to get into Disney as well at the credit/debit card you used to purchase them. 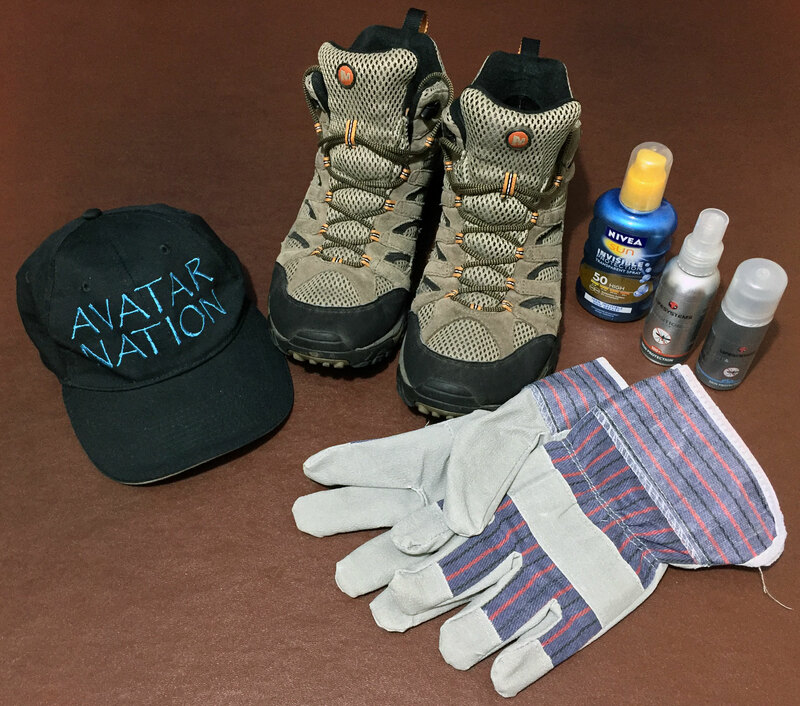 For the volunteering remember to bring a hat, close-toed shoes, bug spray, sunblock, water bottle and work gloves. They have some gloves they can lend us, but it would be beneficial if we could bring our own. There is an Orlando International Airport app available for your smart phones that you can get via here. As Alec has already shared on the AvatarMeet Facebook page, be aware there are more stringent security checks in place at Orlando. Information on travel to and from the airport can be found here. For those coming from overseas, if applicable, remember to apply for your Visa Waiver. More travel information is available in the Meet-up Survival Guide. For any one arriving early or leaving late the hotel is happy for you to leave your luggage with them outside of the check-in and check-out times. On the Monday evening (Nov 6th) there will be an informal welcome evening to allow people to catch up. Paper copies of the Meet-up Survival Guide will be available and the T-shirts will be handed out. The event starts at 6pm and we also hope to watch Avatar again to get us in the mood. We do need to try and start the film as close to 7pm as possible as it will be an early start on Tuesday morning. 10:00 - Breakfast ends and we have the day to explore Pandora and the rest of Animal Kingdom. Remember to bring your tickets with you along with the original credit card used during the purchase and a valid government-issued photo ID, like a passport, etc. As mentioned previously, unfortunately cosplay is not allowed in Disney as they have their own corporate cosplayers and they have a brand image they are very protective of. If you have not already, and are so inclined, you can create a 'My Disney Experience' log-in. 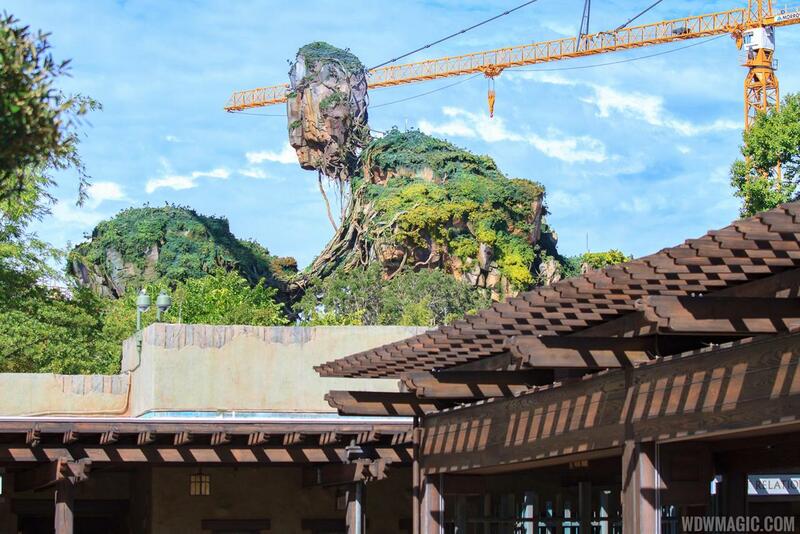 This can help you with planning your visit, make reservations and obtain fast passes. This is supplemented by an app for smart phones that you can obtain from here. If you haven't already got your tickets for the Kennedy Space Center you can get them from here. Some have already purchased the 'Explore Tour' booking in on the 1:30 pm tour. If you don't have a ride already, make sure you ask around on the Monday evening meet up. It looks like we should have enough seats with those who will be bringing their own cars or renting them for the duration of the meet up. For those who will be passengers, make sure you look after those who will be driving by helping with the car rental cost, gas money and any parking charges. After all, they are driving you to the various venues. 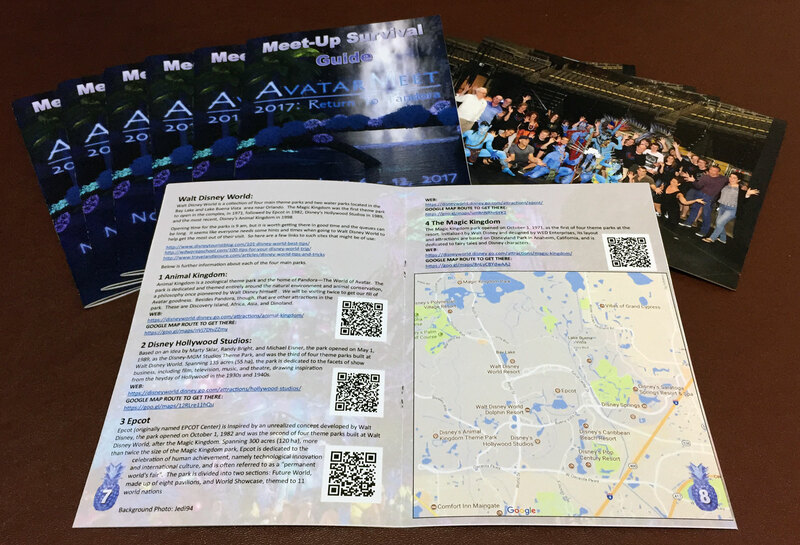 A Meet-Up Survival Guide (MSG) has been produced covering the 'Rules of Meet-Up', event schedule, along with information on Disney, The Kennedy Space Center, travel information, places to eat and more. You can download your PDF copy in booklet form from HERE or straight page copy HERE.